Home / Blog / Independence Day Sale! 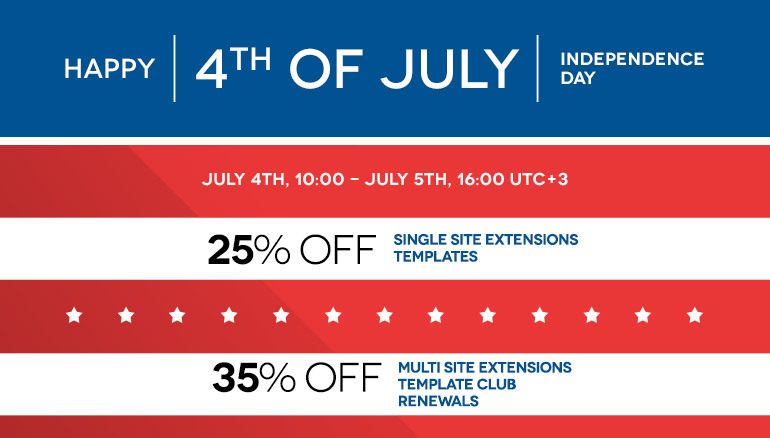 Independence Day Sale is a great time to shop and save with RSJoomla! This promotion is available on 4th of July - 10:00 UTC +3 - 5th of July - 16:00 UTC +3.